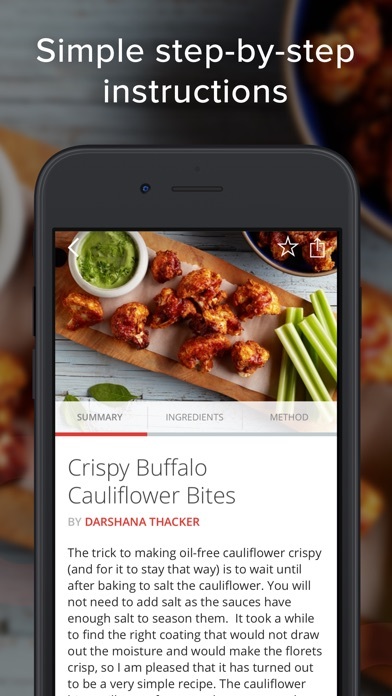 #1 Food & Drink App and Featured as 'Best New App' by Apple - this is the essential recipe app from the makers of the critically-acclaimed film Forks Over Knives. Discover over 400 hearty and decadent meals from over 20 leading chefs, with new recipes added weekly! Every recipe fits the whole-food, plant-based lifestyle that a growing number of health professionals recognize can help stave off and even reverse chronic ailments like heart disease and type 2 diabetes. Features: - Over 400 (and growing) great-tasting, whole-food, plant-based recipes - with new recipes added weekly! - Find and prepare your favorite recipes with ease - Preparation made simple with step-by-step instructions - Synchronize your shoppings lists across multiple devices with iCloud - For each step, see the ingredients you need with just a tap - Convenient shopping list for the grocery items you need to pick up - Landscape mode for viewing recipes full-screen, with step-by-step instructions - Contributions from over 50 leading chefs. - Tips on the plant-based lifestyle and more! 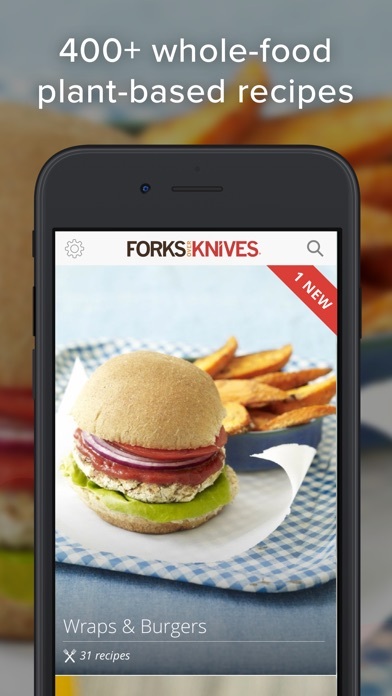 We hope you love using the Forks Over Knives App. If you have any suggestions about how a recipe or the app could be improved even further, please email us at app@forksoverknives.com. We'd love to hear from you. I want to change my eating to a Whole Foods plant based diet but it is hard to know where to start. This is so helpful! I have made a few things and they taste great. Great for those that are plant based and want something that is different and good. Nice recipes. App easy to use and really like its shopping list function and I have already converted my notes based list to this app. Would be nice if they update it with new recipes more frequently. 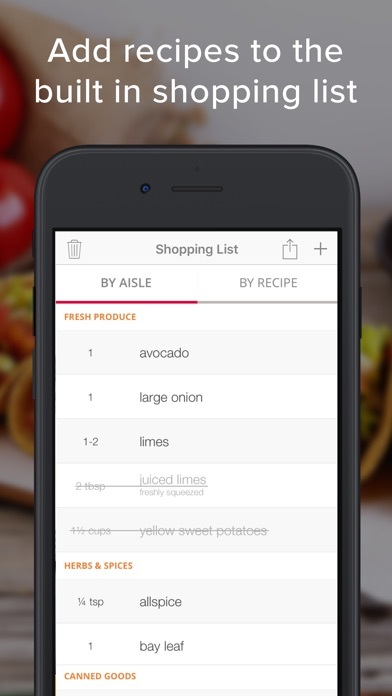 Easy to use app and fantastic simple recipes! I am finding lots to love about this app. Great recipe variety, creative, and fun to cook. Not to mention full of flavor. What I would really like though, is a note tab for individual recipes. Tonight I made the Persian eggplant and yellow split pea stew (a big hit, especially with our toddler grandchild) and there are some things I’d like to do differently next time. But how am I going to remember? 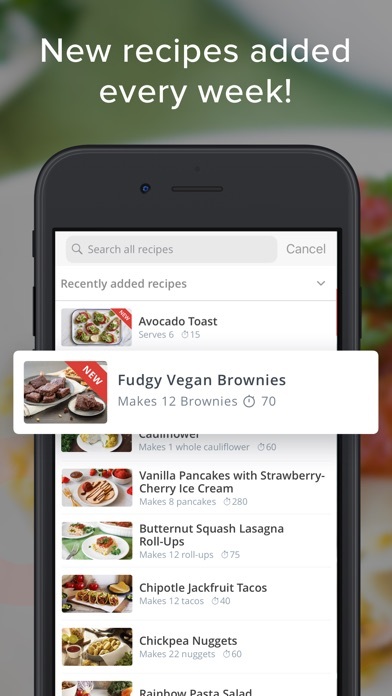 There is no nutritional info on any of the recipes on the app. Seems there is on their website meal plan but not with the app recipes. I love the variety of recipes in this app and that. I can type in an ingredients and have different recipes pop up. I love almost everything about this app. 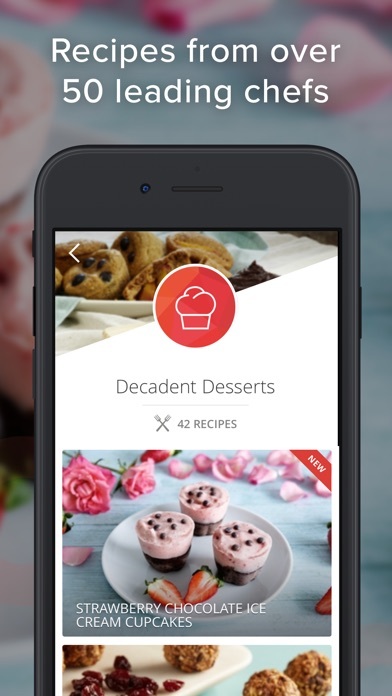 I love the recipes we’ve tried so far, the interface with shopping list options, how the app keeps my phone awake during preparation making it easy to keep my phone clean and how in the the instructions for each recipe you can easily view the ingredients for that step make the app an amazing tool. I REALLY wish there was basic nutrition and portion size guidelines for the recipes. Thanks so much for the delicious recipes. The app is worth EVERY penny!